Here Are the Top 11 Toys Under the 2016 Christmas Tree - 10 Minutes of Brilliance: Smart, Funny, Creative and FREE! You usually have to wait until the end of the year for the nation’s reviewers, reporters, and Internet bloggers to release their respective Top 10 lists. That’s fine for the Top 10 movies or albums, but if you have to wait until December to find out what toys your kids are hoping for, well, you’ll be out of luck. And stores will be out of the most wanted toys. There’s only one way to predict what “Toys will be Hot and What Toys will be Not” 10 months before you have to wrap and deliver them. We went to the source, the once-a-year annual extravaganza called Toy Fair. A few of these toys are already in-store and online. But most are the hopeful offerings of the world’s toy makers who are betting that their play value will be the “It toy” of their respective categories. 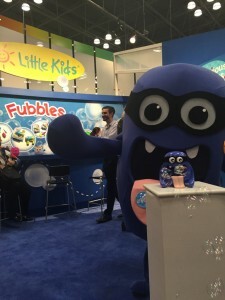 Even though Toy Fair is a 4-day affair, it’s impossible to accurately cover all 100,000 toys manufacturers are showing off. 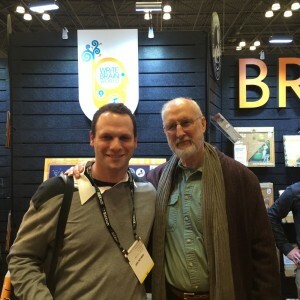 So for the first time ever, I worked the aisles of Toy Fair with an associate and co-writer, Josh Rothman, a bright, young (well, compared to me) tech and marketing savvy writer, researcher and confidant and together we compiled a list of what we expect will be the Top 11 Toys for Christmas 2016. That’s right, Top 11. There were so many cool new toys that our usual Top 10 list had to be expanded. And at the end of today’s post, we’ve even included a gallery of toys that almost made our yearly Toy Fair Best of Show list. So now, here’s the inside scoop of what will be thrilling kids of all ages this December. When it comes to building block toys, Lego is the King of the mountain, but if you’re looking for a something different and fun in building toys, try Magformers! Magformers are a fun-filled magnetic building toy that subtly teaches kids about shapes and geometry. Magformers come in simple geometric shapes that can be used to create 3D structures or flat 2D ones. Or kids can simply enjoy joining the pieces, pulling them apart, and learning about magnetism. It was fun to watch the construction of Magformers, and my co-writer and researcher Josh even guessed that a 3D star was being built before his eyes. Look it’s the Eiffel Tower! 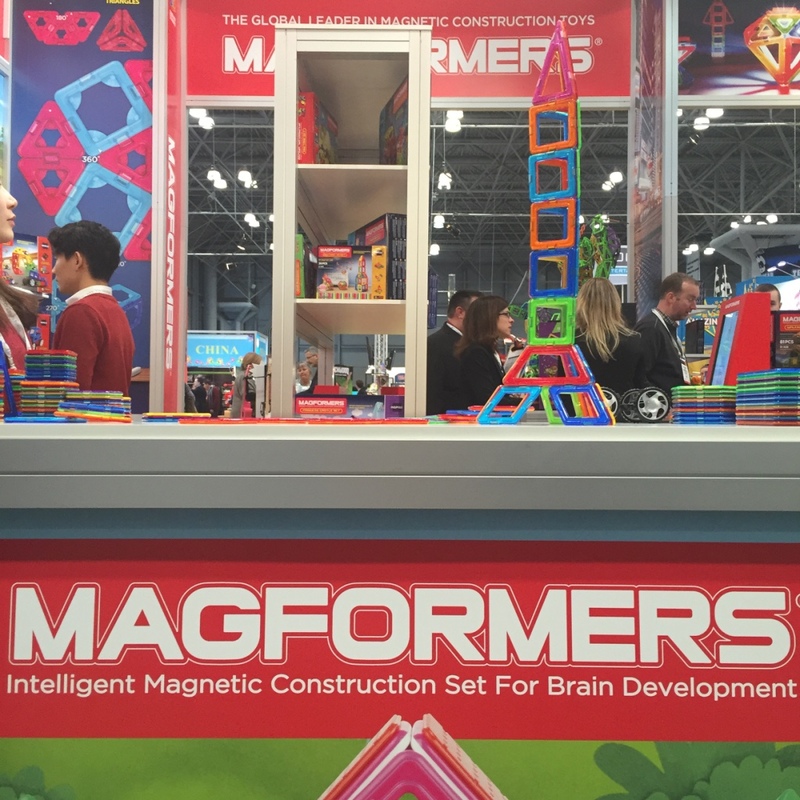 Here’s what kids will love about Magformers: There’s no wrong way to play! Thanks to special magnets inside each piece, they will always join together. Here’s what parents will appreciate: Kids learn about magnetism, shapes, and develop their creativity. Magnets are secured inside each piece so there’s no risk of swallowing. When playtime is over, their magnetic powers make it easy to stack and store them. Kids love blowing bubbles and chasing them down. But what if they could also eat them? With Candylicious Bubbles by Little Kids, they can! Candylicious Bubbles come in cherry, grape, bubble gum, and tutti frutti flavors. This fun toy also features the adorable Bubble Ninja character who swiftly gobbles up all the bubbles! Bubble Ninja sits on top of the included bubble wand, and when kids squeeze him, he sticks out his tongue and catches bubbles! We had a fun time chasing after Candylicious Bubbles and an even better time catching and eating them! Watch out for the Bubble Ninja, he’ll gobble up all your bubbles! 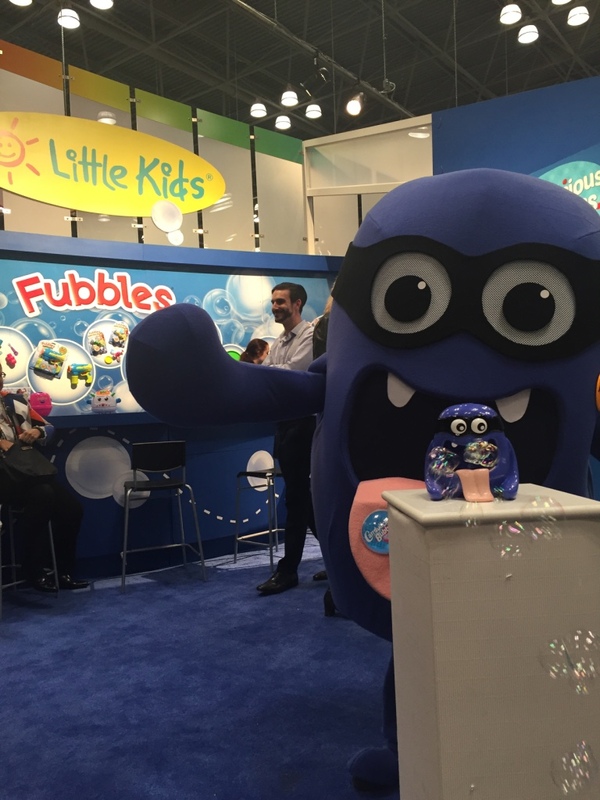 Here’s what kids will love about Candylicious Bubbles: Tasty bubbles to chase down and share with the Bubble Ninja! Here’s what parents will appreciate: A new way for kids to play, and no more worries about eating bubbles! Exploding bombs and terrorism may not seem like an appropriate play scenario for kids, but there is therapeutic value when kids deal with their fears in a non-threatening way. 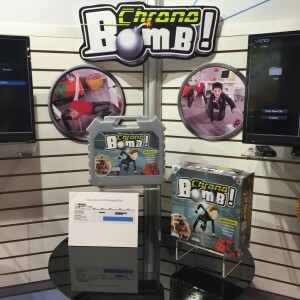 Chrono Bomb by Play Monster, is a super secret spy mission where kids use the included clamps and 27 ½’ string to create a “laser” field to crawl through. At the end of the maze is the bomb, counting down before it explodes! So, kids have to hurry carefully, and defuse the bomb before it goes off! They can play over and over again, building new courses each time or trying to beat each other’s times! Chrono Bomb uses a very simple concept in a fun, new way. What kid wouldn’t want to slink their way through laser fields to save the day? Hone those defusing skills with Chrono Bomb! 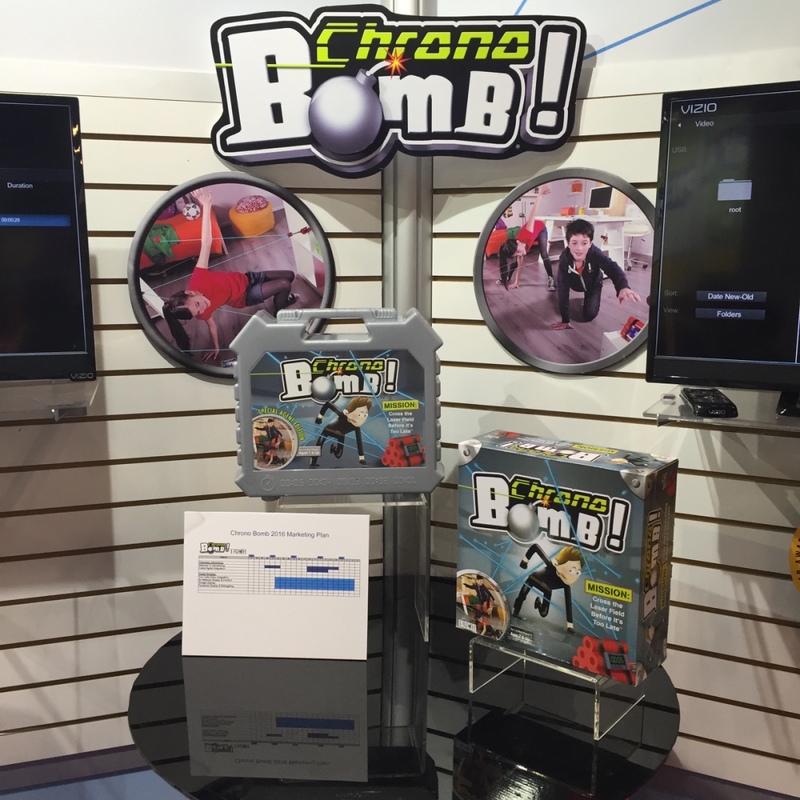 Here’s what kids will love about Chrono Bomb: It allows kids to live out their action movie fantasies with this fun, physical and challenging game! Here’s what parents will appreciate: Encourages creativity, agility, and friendly competition in a safe environment (no lasers or bombs here)! Tucker Toys has once again reinvented the classics. Last year they won our Best of Show Toy Fair 2105 Award for re-inventing summer. 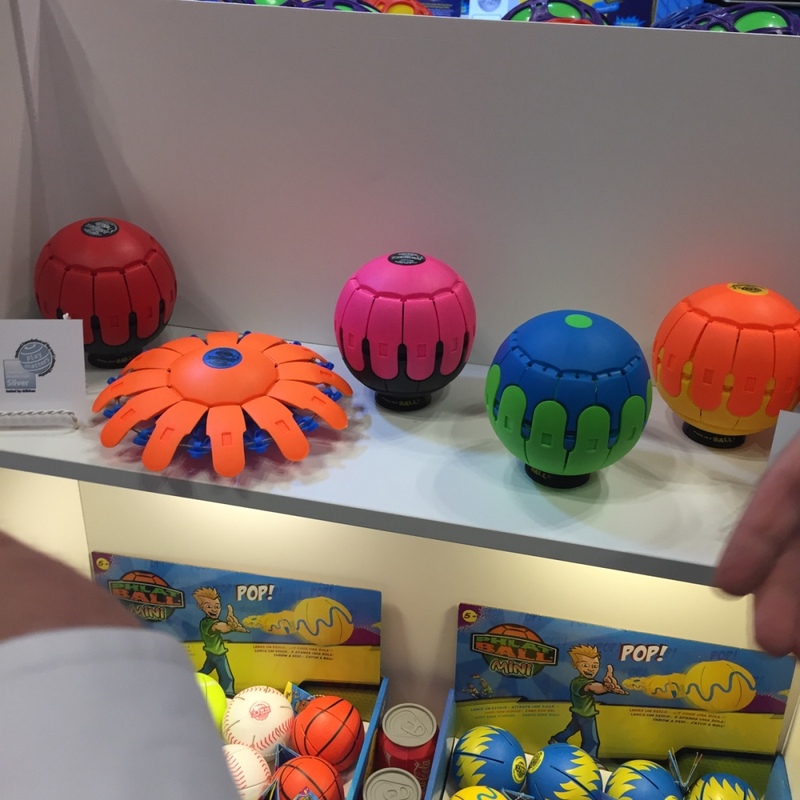 Their ultra cool E-Z Grip Ball is fun to throw and catch, but what made it so incredible is that it bounces on water, grass and sand! They also took home a Best of Show Award for their Crush It Bat that redefined backyard and playground fun! Now, for the first time, Tucker has become our first repeat winner with back-to-back Best Of Show Awards. They improved upon their already popular Phlat Ball with the Phlat Ball AeroFlyt! The newest Phlat Ball is lightweight and durable with a unique protruding grip. Of course, the magic of Phlat Ball Aero-Flyt and its predecessor Phlat Ball is that when you throw them, they don’t start out as a ball, they resemble, in a way, a Frisbee-like disc. They float through the air like a disc, hover, then magically transform into a ball kids can catch. The toy geniuses at Tucker have even improved Phlat Ball AeroFlyt’s airtime performance, gliding longer than any previous Phlat Ball. The time-release transformation of the Phlat Ball AeroFlyt is mesmerizing and constantly entertaining! It’s simple, fun, and exciting every time you pick it up and flip it! 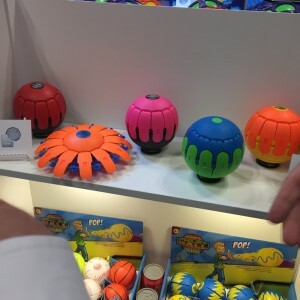 Here’s what kids will love about Phlast Ball AeroFlyt: Transforms from a flying disc to a ball when thrown, flies farther than ever, and rarely gets stuck on roofs or other high places thanks to the time delay transformation from disc to ball. Here’s what parents will appreciate: Encourages active play, and the fun transformation feature will keep kids occupied for hours! It wasn’t going to be easy to top or even equal the success of last year’s Toy Fair Best of Show Winner for girls, Goldie Blox, the Best Building Toy for Girls. 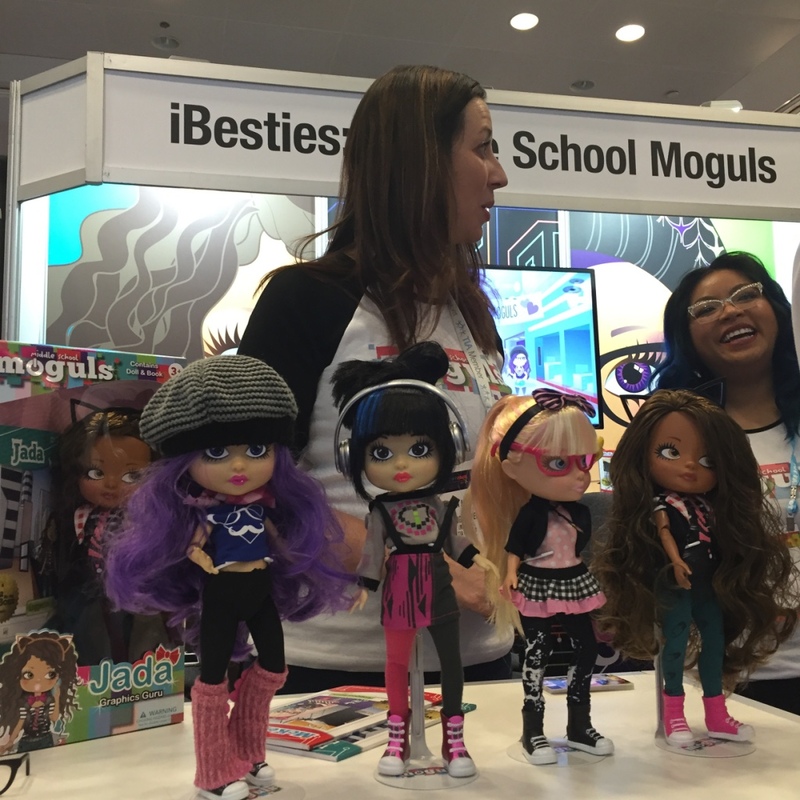 This year’s Best of Show Award, Middle School Moguls, tech savvy dolls with a purpose, is sort of a “building toy” in that the dolls, story line and play function build self-esteem and confidence, They empower girls to take on the tech world and forge their own entrepreneurial success! It’s refreshing to see toy makers embrace broader play possibilities for girls, and no one does it better than iBesties. Their Middle School Moguls line of dolls are tech savvy, smart, and dressed for success! Choose between McKenna the Business Boss, Sunny the Coding Queen, Jada the Graphics Guru, Ryleigh the Gadget Girl, and Izzy the Digital Diva! Each Mogul comes with a rich backstory, and there’s tons of extra content like games and coding tools on the iBesties website. Middle School Mogul proves that entrepreneurial business, computers, and gadgets aren’t just for boys! It’s gratifying to see toys that reinforce this and gets young girls thinking about the limitless possibilities of their future! Watch out Silicon Valley, the Middle School Moguls have arrived! The Middle School Moguls crew are blazing the way for girls everywhere! Here’s what parents will appreciate: Sets a positive example for girls to aspire towards, while providing fun, education and self-empowerment. I know. I know. Kids spend waaaaay too much time texting, but now you can turn their digital addiction into a fun, creative, social game. Emoji Cards by Spicy Doodles unleashes kids creativity by challenging them to communicate pop culture clues using only Emoji icons and their own body language! The game is similar to Charades. It has a set of clue cards, and a set of icon cards that kids use to gesture. They select cards featuring the emojis they know and love attempting to get teammates to guess the clue. The results are crazy creativity, non-stop laughs, and a game kids will want to play again and again! Spicy Doodles Emoji Cards is keeping pace with our ever-evolving communication methods and it turns Emojis into a face-to-face social experience. The Spicy Noodles Team takes us through a game of Emoji Cards! Here’s what kids will love about Emoji Cards: Kids finally get to put their knowledge of Emojis and texting abilities to good use in a fun social setting. Here’s what parents will appreciate: Gets the kids away from their smart phones and playing with friends! 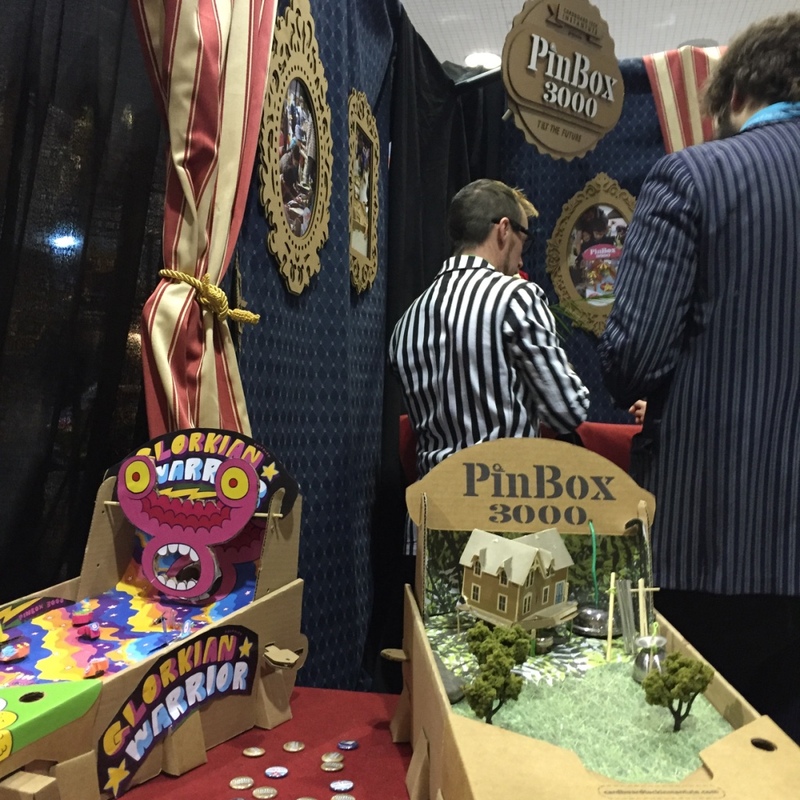 Josh and I were floored by the inventiveness of the Pinbox 3000, a tabletop pinball system made of recycled cardboard. Laser cut parts and customizable play boards allow kids to have a fun pinball experience without leaving the house! They’ll also have a great time assembling the PinBox 3000 from punch out sheets, plastic rivets, and rubber bands, though they may need a little help from Mom and Dad. Pinball machines may be harder to find these days, but PinBox 3000 reminds the latest generation of kids that they, too, can be pinball wizards. You can customize and decorate Pinbox 3000 however you want! Here’s what kids will love: Great fun in assembling the Pinbox 3000, then hours of play! No quarters required! Kids can customize the play board as outrageously as they want! Here’s what parents will appreciate: Reintroduces an old classic, and stimulates creativity in the assembly and customization process. 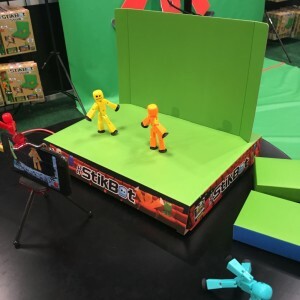 StikBot brings the magic of green screen film making (like your local weather reporter uses) and stop motion animation (Think Pixar!) to your kid’s fingertips! StikBots are highly articulated figures that mimic human motion; kids pose them to create all kinds of fun and zany films. StikBots are the first social media sharing toy with the ability to shape kids’ imagination into endless possibilities. Kids can create mini animated and live action movies with their StikBots and share them with friends. We’ll try to describe how StikBots works, but be warned, today’s tech aware, Internet generation kids will pick this up and create their own command performances long before adults have finished reading the instructions! Using the included green screen and an app that can be download, kids can “key out” the background any substitute any scene they choose: undersea scenes, starry nights, London, France, or even their favorite TV show. The background can be live action or just a photo they choose. Then they pose their StickBots in various positions and take stop-motion shots with a smart phone creating their own imaginative story line. This toy makes it super easy to share all their creative films using social media platforms. (Why, even an adult could do it. Maybe!) StikBots are great not only for their clever, imaginative play value, they also teach kids basic film making techniques early on, whether they’re interested in a future film career or just making films for fun! Welcome to the StikBot studio! Here’s what kids will love: Hollywood grade technology in the palm of their hands! Nothing is off limits! Here’s what parents will appreciate: Encourages creativity, storytelling, and collaboration with the growing StikBot community of young film makers. Has your child ever dreamed of becoming an author and seeing their name in print? 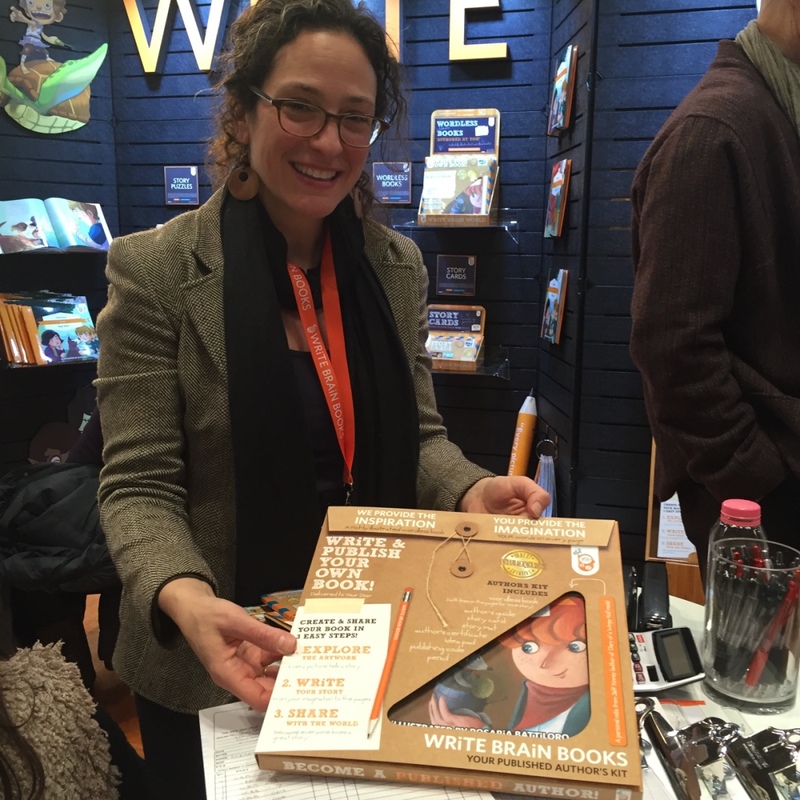 With Write Brain Authors Kits, their dreams will come true! 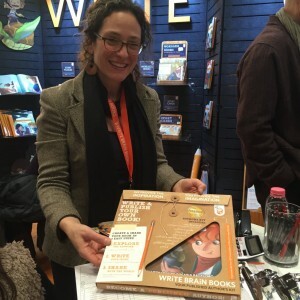 The Write Brain Author’s Kit has everything a young person needs to become an author of their own original children’s book which is published and shipped to the new author’s door! It’s an exciting, imagination generating experience that makes kids WANT to write! Each kit comes with an illustrated, wordless book. Aspiring authors create their own original story and hand write it into the book. There’s no wrong way to tell the tale and the imaginative illustrations fuel young minds and help budding young authors get their story started. From there, authors can choose to type up their book on the Write Brain website and order as many hard cover copies as they want! When the finished, professional story arrives at their door, they’ll get a great feeling of publishing their first book! We can’t say enough about how great this product is at stimulating creativity and encouraging writing skills. Open up a Write Brain Author Kit and get started! Actor James Cromwell loves to write and was on hand to promote this great toy! Here’s what kids will love: Writing their own story and getting their name in print, with the freedom to write any story they want! Here’s what parents will appreciate: Gets kids excited about writing, hones their skills, and boosts their confidence that they could one day become an author! There’s no denying kids love playing video games. It’s an industry fact video games have siphoned off huge amounts of time and money that used to be spent on the toy industry. 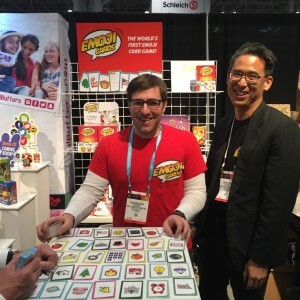 One strategically clever toy company, Pixel Press Technology, figured out, “Why fight ‘em when you can join ‘em.” They created a toy that turns any kid into a video game developer. 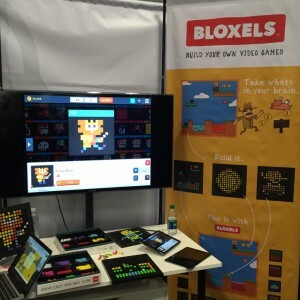 Using a 13” x 13” grid, plastic colored blocks, and an understanding of classic video games, with Bloxels kids can create their own video games, complete with game levels, characters, enemies, and more. 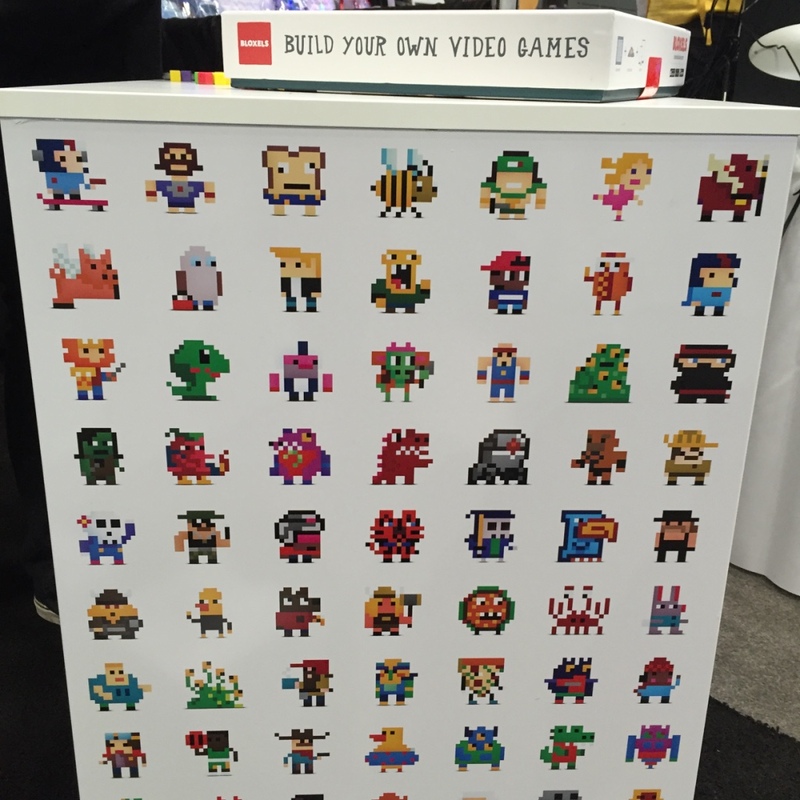 Each plastic block represents one pixel, allowing kids to create detailed artwork for their heroes, villains, power-ups, and even map out their game levels block by block! Once they’ve arranged their blocks the way they want them, they take a picture of their masterpiece using the included app, and start combining elements and animating their game. The power of this toy is amazing, and game play is jammed into a simple and easy to understand concept. 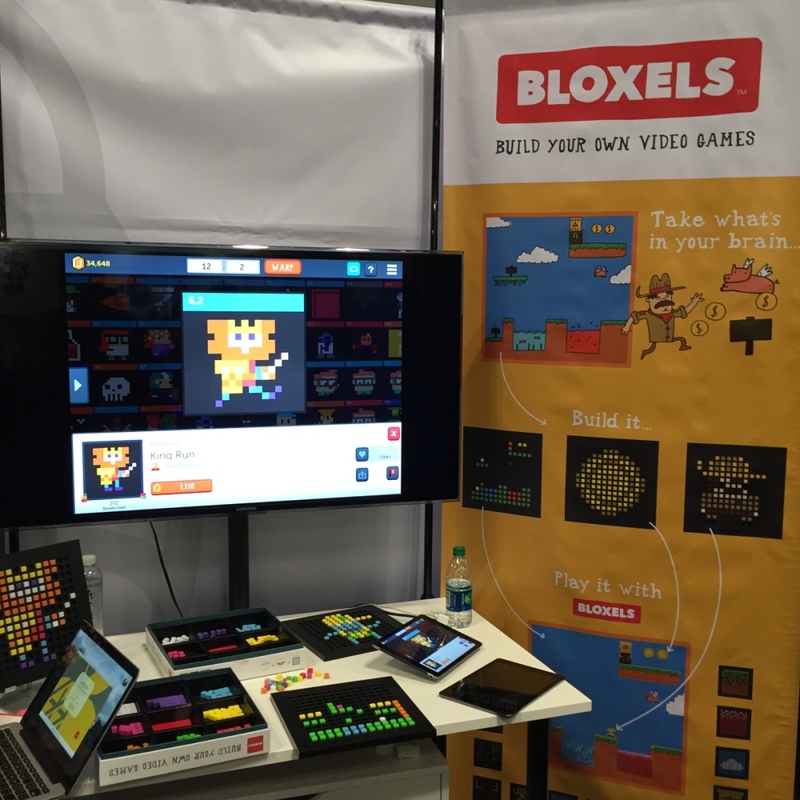 Bloxels encourage creativity and removes the barrier of artistic ability by giving kids a grid upon which to build their worlds. And if pixel art isn’t their thing, aspiring video game designers can use one of many prefabricated characters to populate a world they create from scratch. Build a video game brick by brick from scratch! 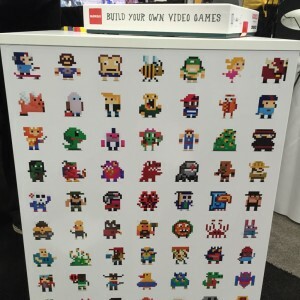 A gallery of pixel art from Bloxels! Here’s what kids will love: Finally and easy way to create their own video games! Kids can customize as much or as little as they want, and really have an opportunity to shine! Here’s what parents will appreciate: Turns a sedentary pastime into a learning experience which encourages imagination, and subtle focus on math vis a vis the grid system kids use to create their world. Other cool applications include a banana cowbell, a watermelon bass drum, and a crash cymbal sound when kids high-five their friends! 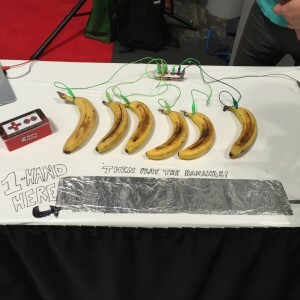 Makey Makey uses electrical conductivity (don’t worry, no one is getting shocked here), alligator clips and connects directly to your computer using a USB cable. Then it’s off to the digital races as kids experiment with different objects, discovering the conductive properties of each one. 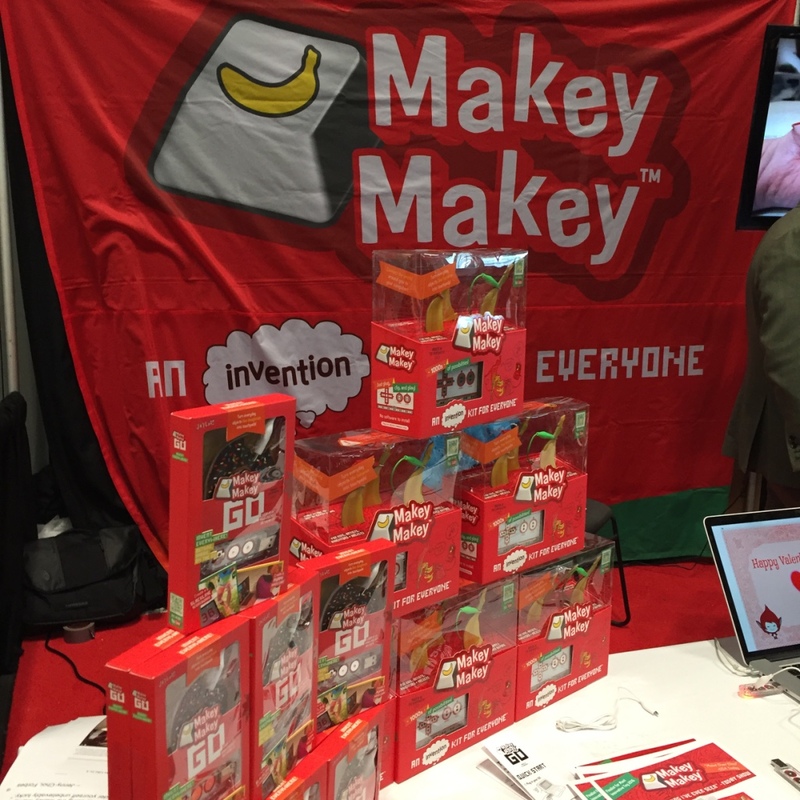 And there’s an entire community of Makey Makey inventors who post creative videos online all the time to ignite your young inventor’s creative juices. 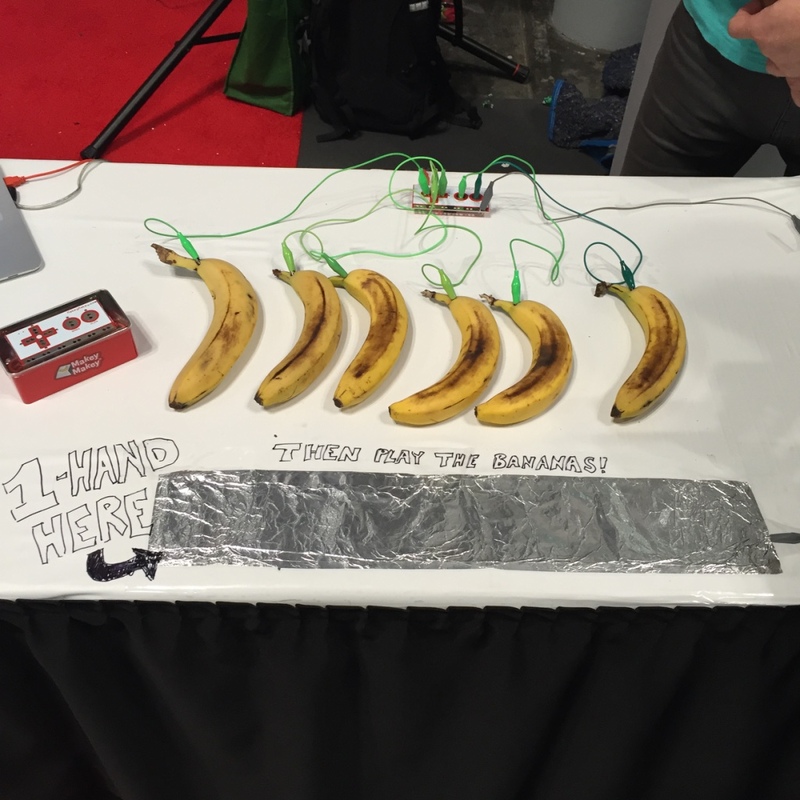 The famous Makey Makey Banana Piano! Playing with your food has never been this fun! Here’s what kids will love: It’s instant! Kids become inventors right away! The instructions are easy to follow, the results are immediate and the fun is contagious! Here’s what parents will appreciate: Challenges kids to think outside the box and develops their creative problems solving skills. We like to be complementary here at 10 Minutes of Brilliance and reveal the most imaginative toys kids will be clamoring for each year at Christmas, but we owe it to our Readers to shine a light on toys that are downright unimaginative, dangerous and have very little play value. 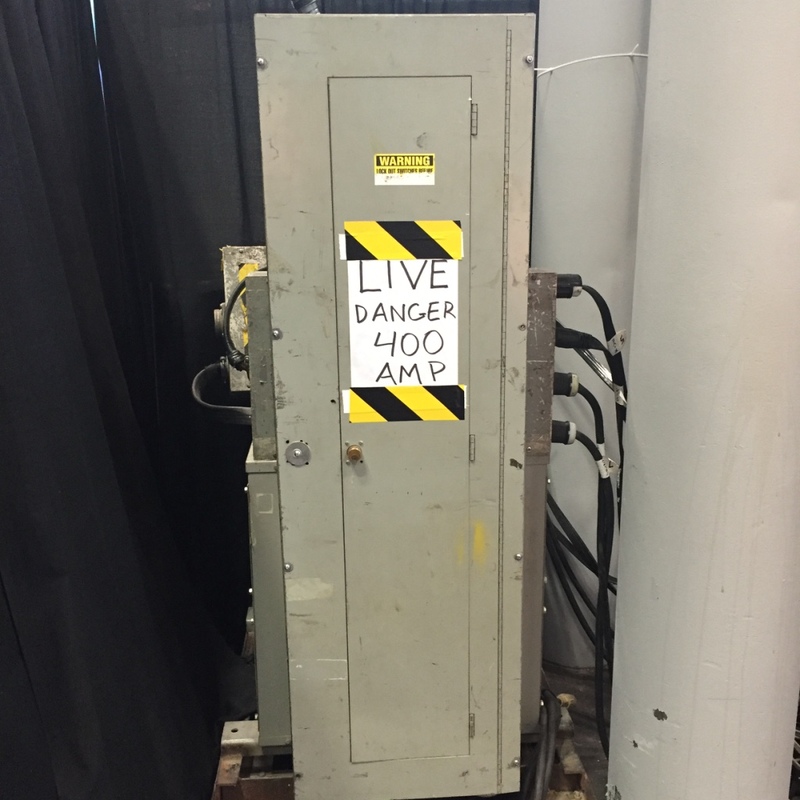 That’s why in 2014 and 2015 we gave a Worst of Show Award to the 4,500 lb. 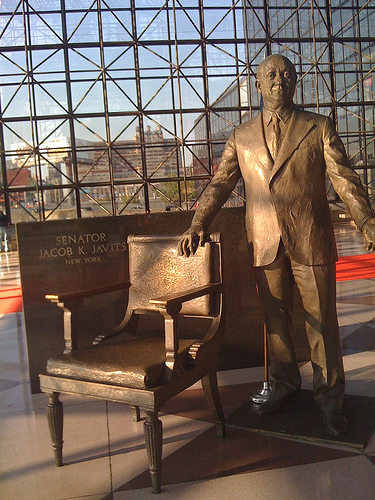 Jacob K. Javitz action figure (bronze chair sold separately). The damn thing just sits there, well, like a statue. It has zero play value! Of the 100,000 toy buyers who attend Toy Fair each year, not one has purchased the Javitz action figure for their local customers. We ere all set to award the Javitz action figure the first Three-peat for our Worst of Show honors, until we came up this dangerous monstrosity, the cleverly named Ultimate Power toy. All of the toys we’ve highlighted here will bring kids our and hours of fun. With the Ultimate Power toy, kids can only play with it once. 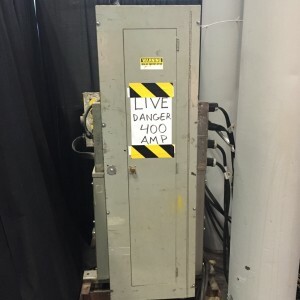 Shocking, I know! Best instructions at Toy Fair 2016, DO NOT PLAY WITH THIS TOY! Well, that’s it for today, Readers, thanks for stopping by. We currently have over 20,000 monthly subscribers although I suspect most of them are foreigners who have no idea they’re reading English. I’ve listed my associate for our annual Toy Fair Best of Show Awards, Josh Rothman as my co-writer, but much of the credit goes to him. He is thorough, smart and thoroughly fun to work with. I’ll be back again soon with my old cast of characters, including STAN and HARRIET, and there’s a good chance Ted Williams’ head, Brer Rabbit and Bill Shakespeare will be making an appearance, too. 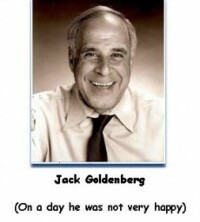 Hey Jack, I still read your blog, sometimes. 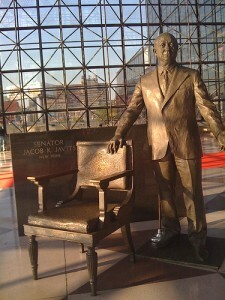 I think my 8 year old would love the Javitz statue. I don’t know where we would put it though. It was a blast working on this with Jack, I’m very proud of the work we both did on it. I’m also grateful to have a friend like Jack who was able to get me into an exclusive “closed to the public” show where I had an absolute blast! The first of many I hope!